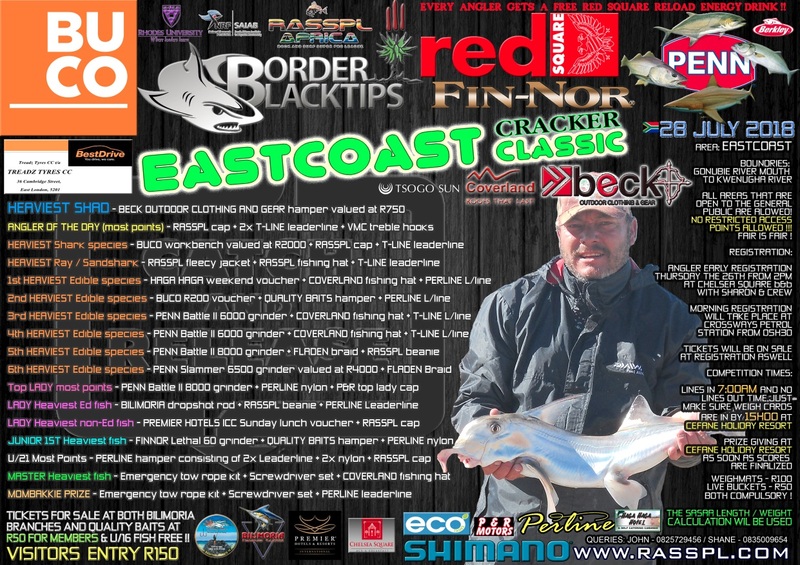 R26000 worth of awesome prizes for our Eastcoast Competition next Saturday the 28th! Simply have to be there!! ANYONE CAN ENTER! Early bird registration happening at Chelsea Square B&B on Thursday the 26th from 2pm! Annual membership subs can still be paid at both Registration points should you choose to become a paid member which gets you all the perks including R50 entry at all of our 7 remaining comps left this season! Once off visitor anglers also ALL WELCOME at R150 entry!! !